The office desks that were once thought of as the islands in sea of tedious work and the irritable bosses have transformed into dynamic work stations, especially following the advent of personal computers and laptops. It has become a necessity for you to find a work station for your home office that is as good at multitasking as you are. It can be a really challenging task for you to choose a work station that completely fulfills your needs. Ending up buying the wrong work station can haunt you for the rest of your life. This is why wise people always take help from experienced and qualified interior designers. AmerAdnan® who’s one of the top known interior designers in Lahore is of the opinion that home office furniture needs to be capable of not only providing comfortable and convenient working place but should also be able to offer the best space for home entertainment such as movies and gaming. Below are a few important things you need to consider while buying a work station for your home office. If you spend most of your time sending emails or making calls on the internet, you should ideally choose the work station with a smaller surface area. In case your work involves the use of documents, you should make sure that the work station you buy has a larger desk area. It is always considered the best practice to estimate the amount of desk space you need in fact and buy work station accordingly. What size of work station do you need? A work station needs to be of a size that is not too big to make it difficult for the dwellers to walk around and it shouldn’t be too small for you to work conveniently. The home office desks can be bought in many different sizes however you need measuring your space accurately. There needs to be at least 2 ½ to 3 feet of free space behind the desk for your chair. 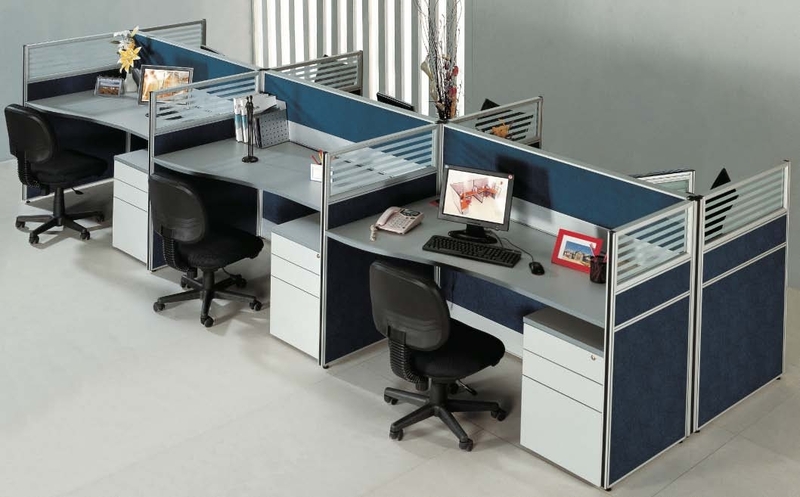 Moreover, there are L-shaped work stations as well as U-shaped work stations available in the market so you need to choose the ones that are best suited to your available space and desired type of work. Storage space is another necessary feature that needs to be considered when buying office furniture. The people dealing with a lot of documents and files must have a lot of drawers and cabinets to store them. People, who use a desktop computer instead of a laptop, require a keyboard tray too. For the vertical storage, there needs to be a perfect combination of cabinets, shelves and drawers in your work station. Last but not least, there must be cut outs and holes in the office work station to let you manage cables that would make a mess otherwise. Which material would best suit you? The material used in the manufacturing of your home office work station is another important thing. It may be made out of metal, wood, composite wood with veneers and a lot more. You can also find work stations with glass or marble tops. The glass/marble topped work stations require more maintenance however they provide a more upscale look. For those seeking budget friendly work stations, the ones made out of composite wood with veneers are the best choice.